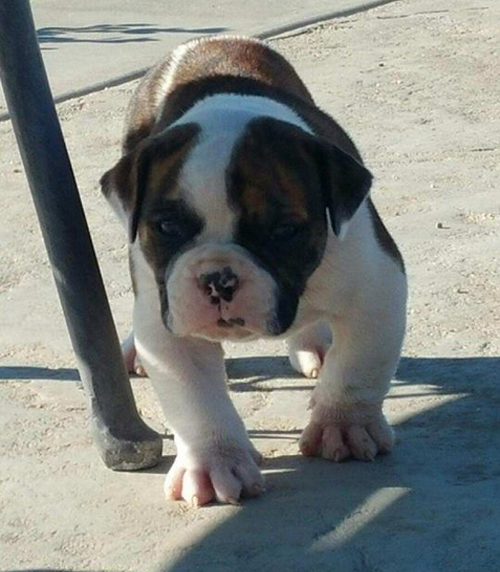 We expect to breed large, huge headed, broad-chested, thick-boned, sloppy faced American Bulldogs! Our dogs are slightly on the heavy side. Yet, are powerful with large jaws. We have imported the best dogs form different parts of the world and brought them home to Temecula. We LOVE the breed and our dogs. LOVE guides all we do for them. Our breeding program’s decisions will never be influenced by the possibilities of making money. We are solely focused on producing the best dogs the breed has to offer. Copyright 2016 World Renowned American Bulldogs. All Rights Reserved. Site by Wolfe Interactive, LLC.